All of The Solo Committee‘s music has one and only one purpose and that’s to heal and comfort. 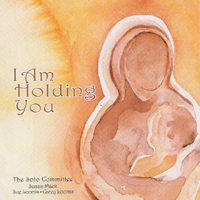 The Solo Committee hope that as you listen you feel wrapped up in the music as though it were a blanket of Love, a hug from God. It’s our great joy to share it with you. 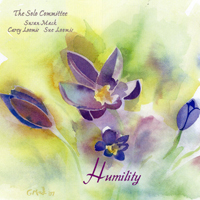 The Solo Committee, Carey Loomis, guitar, Susan Mack, vocals & Sue Loomis, harmonies, love to make music. They used to get together on the college green to make music, now they meet on a stage or in a studio. But they still bring the same joyful spirit they have always had, sharing new songs and ideas with joy and delight. 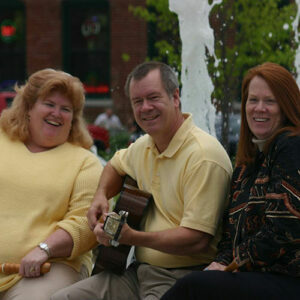 Susan, Carey and Sue all majored in music, then went out and got real jobs. Susan has been a Christian healer for 20 years and thinks of these songs as an extension of that healing ministry. Carey has been in the IT field for 30 years, but is happiest with his old Gibson guitar, Gloria, in his hands. Sue has had many jobs, but her real passions are all creative including anything with a needle and making music. They love traveling together, sharing their music. They have been all over, Texas to Wisconsin and Michigan, California to New York and have found enthusiastic audiences everywhere they go. Through the magic of internet connectivity, CDs of their music have gone as far as South Africa and Australia. 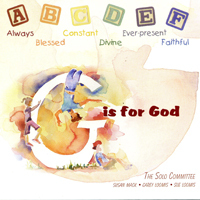 The Solo Committee has 9 CDs, including 5 of original folk hymns and songs, two written for children and young at heart listeners and finally, two recordings of favorite hymns with voice and piano. 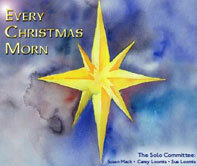 Now, at last, The Solo Committee has sheet music of some of our favorite songs to share with you. Enjoy! + Really sweet blending of voices; you singers were made to sing together! + Writing and poetry that makes the Bible feel fresh again. + Strong clear convincing lead. + Uncompressed mixing that makes everything feel fresh and dynamic. + Guitar breaks and recorder interludes. I can't tell you my favorite cut, 'cause it changes at least 4 times each time I listen. This is the real deal, a sweet sure reflection of reality."